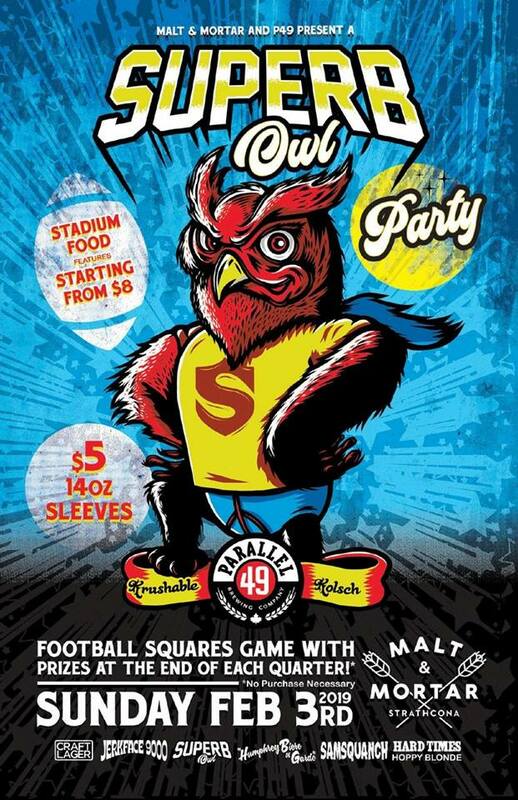 We have partnered with our great friends at Parallel 49 to host a SuperB-Owl Party! Come join us for $5 Parallel 49 beers, Stadium food features from this years top four NFL teams, and loads of fun games! Give us a call at 587.454.6093, or click here.